I don’t rely on too many foods that come in a package or can, but there are several that I consider staples. These products are legit, pure, minimally processed and products I can feel good about too. Sometimes, I mention what brands I use in my recipes, but I thought I’d put them together in one handy list. 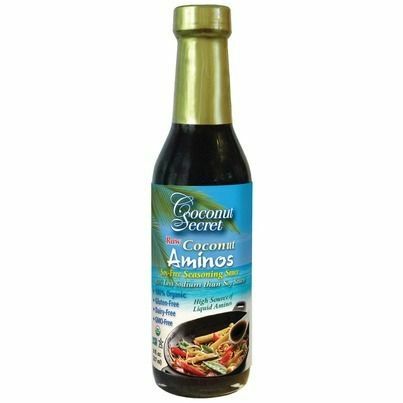 Trade Secret Raw Coconut Aminos: this is the only brand I know of that makes coconut aminos, in fact. Use this fermented coconut product in place of soy sauce or tamari. It’s free of wheat, soy and additives. Oh, and it tastes salty and delicious too. 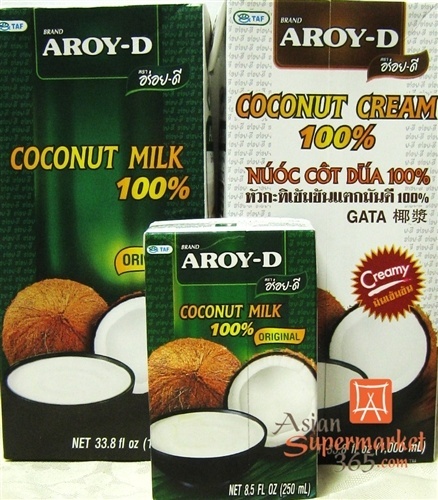 Aroy-D and Natural Value full-fat coconut milk: this stuff is as pure as it gets without making it yourself. There’s no gums, thickeners, stabilizers, sugar, preservatives or additives. These are my only two go-to brands. Aroy-D comes in boxes and Natural Value comes in BPA-free cans. Aroy-D also makes a wonderful coconut cream that I love. Tessemae’s All Natural dressings/sauces: these are paleo-friendly (made from extra virgin olive oil) and come in a variety of delicious flavors. The paleo-friendly flavors even say ‘paleo’ on the label! The BBQ sauce is legit and I love the ranch (non-creamy) and cracked black pepper atop of ground meat and veggies. I find it in the refrigerated section at Whole Foods. 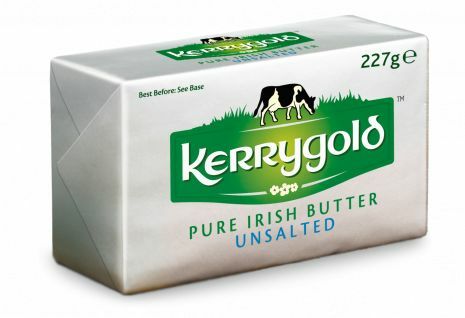 Kerrygold grass-fed butter: I always buy unsalted, unless it’s out of stock, but I absolutely love this butter. It comes from Irish grass-fed cows and tastes delicious. I find it for the best price at Whole Foods, but I think it’s reasonable at Trader Joe’s too. I pay $3.19/block (equivalent to 2 sticks) at Whole Foods. I used to get it for $2.99, but Whole Foods raised the price a few months ago. Also, this is the butter I use when I make my own ghee at home. 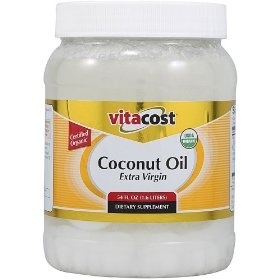 Vitacost organic extra virgin coconut oil: this is now the only place I buy coconut oil because I can buy a 54 oz container for about $22 at most, but often have a coupon code and get it for under $20. If you stock up on other things, you can usually get free shipping too. Once you buy from Vitacost once though, you’ll be notified of deals all the time, especially on Vitacost brand stuff. It’s totally worth it. 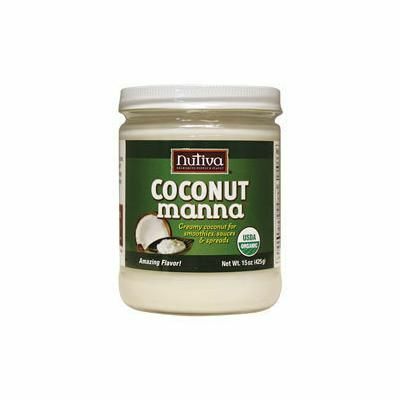 Coconut Manna or MaraNatha coconut butter: these are the creamiest coconut butters of the brands I’ve tried, and so smooth too. I generally pick up a jar of either when it’s on sale and have found it for as cheap as $5.99. I never pay full price for either of these brands. Sometimes, I’ll refill my empty jar with Let’s Do Organic Coconut Cream Concentrate, which comes in a little packet. I soften it first by placing it in a bowl of hot water, and then empty the contents into the jar. This stuff is a little grittier and sometimes needs to be mixed with a little water before using (depending on what you’re using it for). The bonus with this stuff is that it’s cheaper. I always pay less than $3 for an 8 oz box. 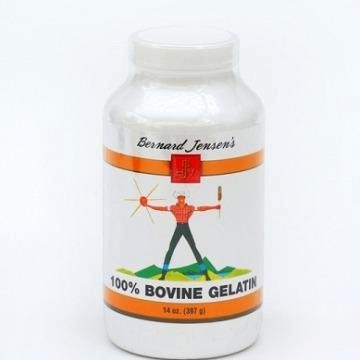 Bernard Jensen’s powdered gelatin: this gelatin powder is grass-fed and fantastic. You get a lot of bang for your buck and can use it in many different ways. It’s so good for your gut and skin too! 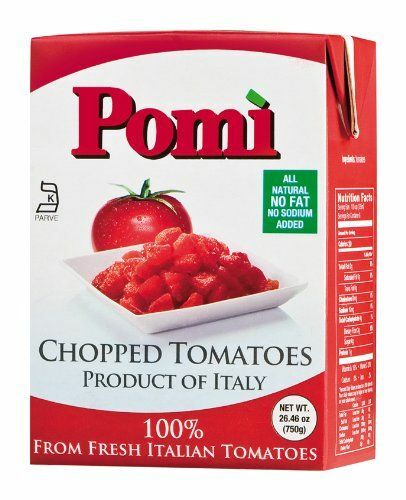 Pomi tomatoes and tomato sauce: this brand is imported from Italy, so you get exactly what’s on the label, which is nothing but pure. In the U.S., companies don’t have to list an ingredient if the product contains 0.5 grams or less, so it’s possible you get added sugar or other unwanted ingredients. Pomi comes in boxes too, so there’s no worry of BPA. I love that the tomato sauce has a cap on the container too because sometimes, I just need a little bit. I’m also a huge fan of coconut aminos (and the coconut vinegar), Kerrygold, and MaraNatha coconut butter (that stuff is dangerously good)! 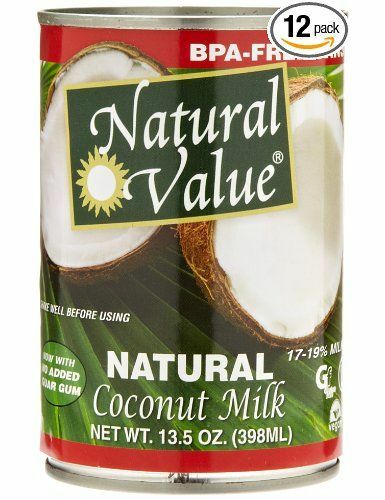 I have a really hard time finding canned coconut milk without gums, etc. I may just order a case of one of the brands you mentioned or try an Asian supermarket. Good coconut milk can be hard to find. The only place I can find both these brands here in Portland is at a food co-op. Luckily, it’s near work, so I frequent there often and am a member too. I agree with you about the coconut butter…dangerously good indeed! Hopefully you’re able to find good equivalents over in the UK! Yes, have found most things here, although they are pricier than their U.S. counterparts! Thanks, Jenni! I love your products and am grateful they exist!